Cette belle maison est aménagée avec de beaux meubles et de la literie. C'est un havre de paix idéal pour ceux qui ont besoin de s'évader. Le balcon offre une vue imprenable sur le front de mer et le long du Paseo, ainsi que de la chaîne de montagnes de la Sierra de la Giganta, qui descend dans la mer. Il dispose de deux suites parentales / salles de bain: une au rez-de-chaussée et une seconde à l'étage de la belle cuisine extérieure. Les deux chambres ont des lits king size. La suite à l'étage est accessible depuis la cour intérieure par un escalier jusqu'au dernier étage. La maison a de beaux meubles en bois dur et en bois et une grande cuisine avec tous les équipements modernes. Second time here. Love everything about this Casa and the area. Highly recommend! This home is immaculate, with everything needed for a pleasant and relaxing stay. Really wish we had booked this trip for another week in length. Home owners have done a wonderful job creating this vacation oasis, and are so easy and accommodating to work with. This is our second time here, and we will be back for sure!!! Check in was a breeze and everything was as expected. This whole community of Loreto Bay is so great. Loved that there was a fun wine bar, convenience store, coffee shop and the beach is beautiful! The Villa is in a perfect location and we had an excellent stay. 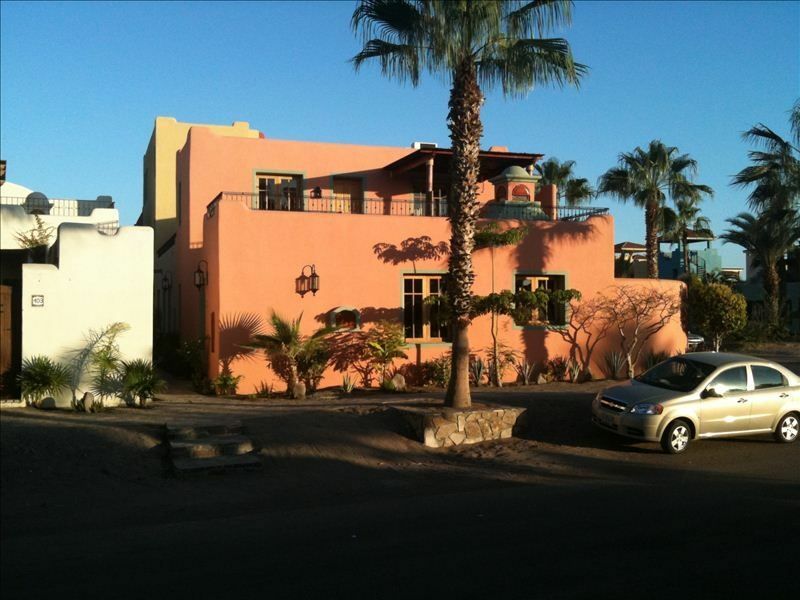 The Villa had everything we needed and the owner was very responsive and accommodating. We had a great time, the house is awesome!! Case chica was a lovely home for us to stay in. We enjoyed our stay immensely. Casa was clean and tidy when we arrived. I would recommend a light window covering in the upstairs washroom. A week in the sun! Wonderful area; wonderful people; and a very comfortable place to stay! LoretoBay is a beautifully designed combination of townhouse units in the Mexican style. This unit in particular was ideally located, clean, and allowed two king suites to have complete privacy. We loved it! The Inn at Loreto Bay est situé juste en face du Paseo de notre maison. Cet hôtel à service complet avec bar et restaurant est disponible pour les propriétaires Loreto Bay.